We encourage you to leave any comments/ pictures/ suggestions/questions in our community forum to help us improve the user experience. 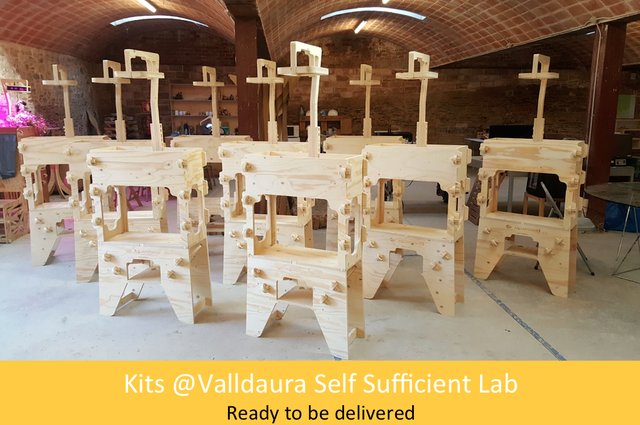 This week will be full of good news and today we would like to share our kits fabrication and delivery progress for our Barcelona's backers. 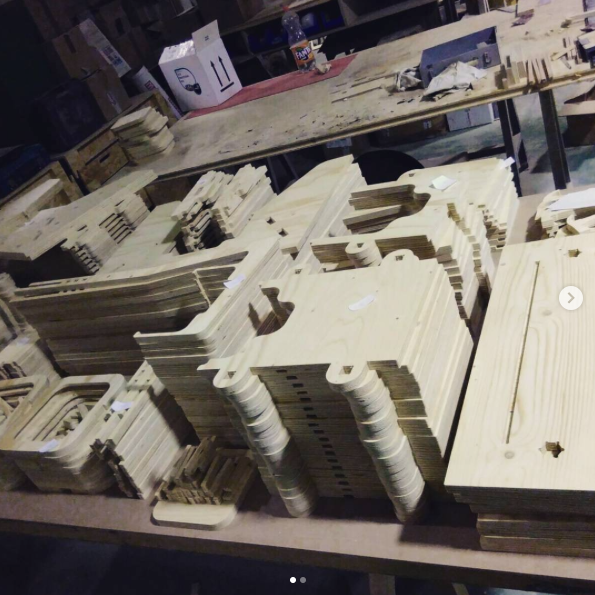 The first step was to collect the wooden pieces that have been cut, sanded and varnished by our Barcelona based digital carpentry partner NODO. 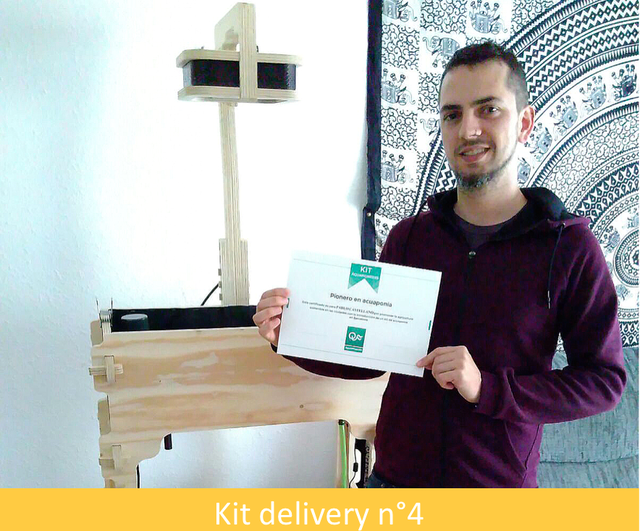 The first kit delivery was for Loic's little brother, that spend the entire night building it like a puzzle following the timelapse we did for the crowdfunding. We still have 2 more to deliver in the next coming weeks. Stay tuned! First of all, we would like to wish you an exiting and happy new year 2018 ! To facilitate the onboarding process, the associated user manual has been divided into four blocks following the Aquapioneers Ecosystem anatomy to ease its construction, assembly and use. The following parts will be published during the following weeks, and will be regularly updated as a whole to reflect the comments and questions of our community. 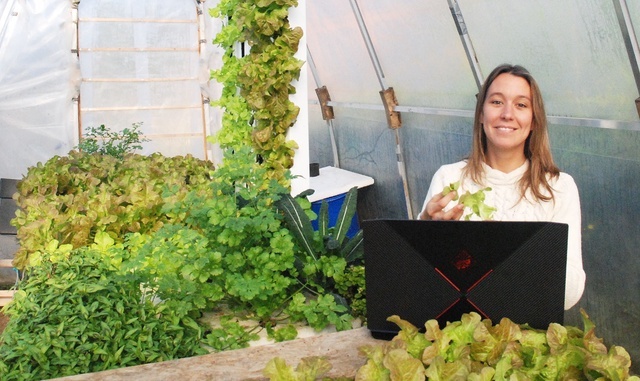 We are also very pleased to welcome Susan in our team :) She will act as our community manager, directly from the best office we could ever dream of .... a sunny, quiet and fragant greenhouse. OPEN SOURCE NON COMMERCIAL - WHY ? The CC-BY-NC license we have chosen (CC-BY-NC 4.0) gives anyone the right to download, edit and remix their own versions of the AQUAPIONEERS ECOSYSTEM designs. We think participation in design is something to be actively encouraged. By adapting, improving and creating new variations of the ecosystem we hope to encourage research, innovation and a spirit of collaboration. 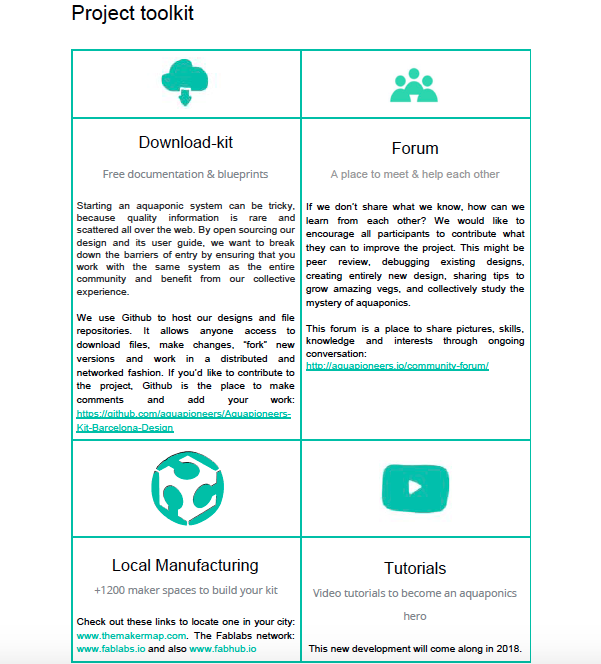 Because empowering people is one of the fundamental pillars of our project, we believe that everybody should have free access to this documentation to explore aquaponics and digital fabrication. Unfortunately in 2017 it is not yet possible to make a living out of free work... this is why we have decided to limit the free use of our work to individuals. While we hope to inspire sustainable innovation with our work, we believe that economic value created from inventions should also benefit the inventors. This is why commercial use of this documentation will only be permitted through formal collaboration agreements. If you are interested in making commercial use of this work, please get in touch with us and we’ll do our best to find a way to work together! Hope this news find you all well. As some of you have noticed, we are a little overwhelmed by the amount of work these last months delaying “a bit our perks” delivery. In fact, that’s the best news: we are working hard not only on the challenges related to perks delivery but also for improving results in what was promised and what is to come! The first perk we want to cover is really special for us. The goal was to collect 3500€ among the 15000€ to help a special school in Barcelona which educate childrens with special needs: http://www.escolasagrera.cat. The objective of this funds is to offer something new in their curriculum through the installation of an Aquapioneers Ecosystem, its maintenance, and organization of children's activities for one year. 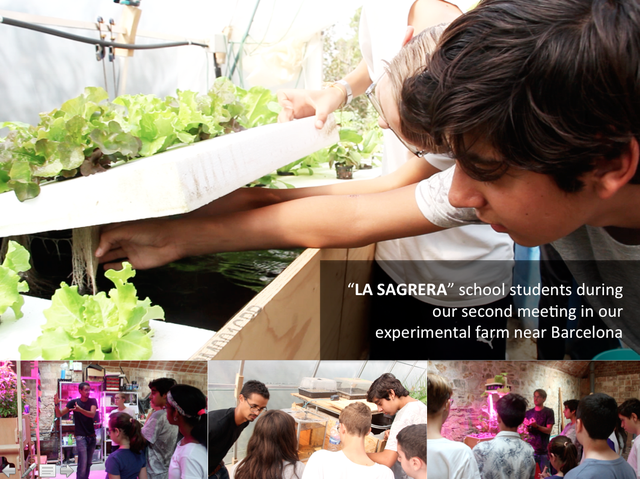 We are very happy to have started this project on time, and actually before what was expected :) facilitating the contact of La Sagrera students with nature and its magic through aquaponics. You all deserve a "cheers" for helping us to start this path. So, please, all together: CHEERS! 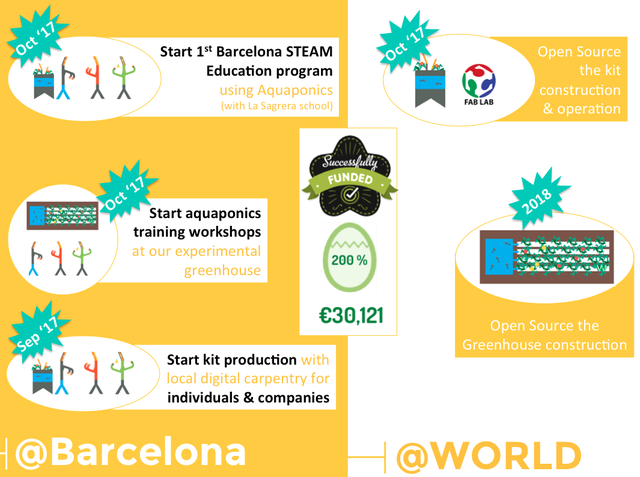 Throughout this year we will meet and experience aquaponics both at their school and at our space near Barcelona in Can Valldaura, to exchange the practice of aquaponic farming with the traditional school curriculum of a 12 students group. One month later, in October, we invited the group of students and their teachers to discover “our world” and spend an entire day with us at our experimental aquaponics greenhouse. To help them understand how aquaponics work, we organized three small workshops around the plants & fishes we grow and the microrganisms that help balance our ecosystems. To share how the magic of aquaponics is opening their eyes on how natural ecosystems work, we have decided to create a web serie about the evolution of our collaboration. 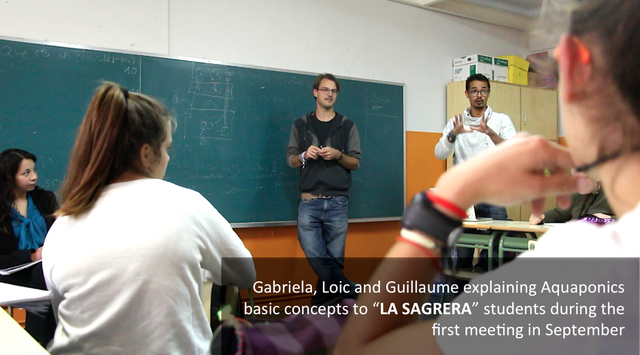 For that we will regularly publish ( aproximately every month) a small video on our Youtube channel ! First video at the end of the month :) so stay tuned ! Regarding to the kits delivery for Barcelona’s backers, we have to confess that we also have some delay. However, we are working on it with full gas! 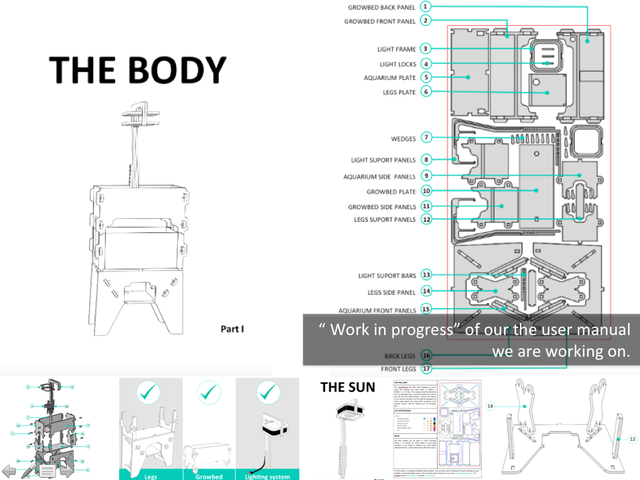 The delay in this process is quite natural, because we have spent significant time looking for a local manufacturer based in Barcelona that share our values and that has the ability to print our kits for reasonable price considering our tiny production activity. But we found it! 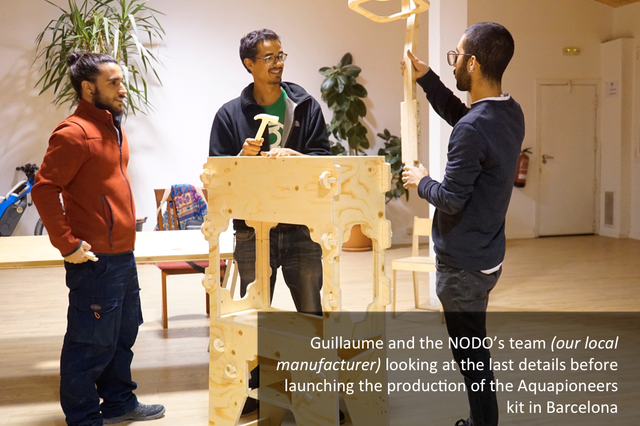 Let’s introduce you NODO Arquitecture, a space in Poblenou dedicated to design, digital fabrication and architecture. 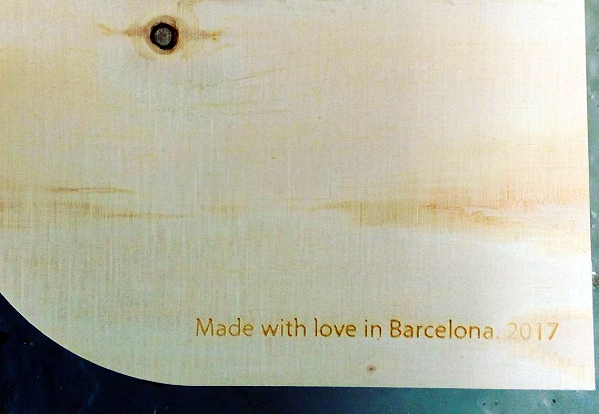 After several meetings with NODO’s team adjusting the last design details, we have found the ideal measurements for the kits that can be made of wood and other surprising materials that future Barcelona's buyers will be able to choose. 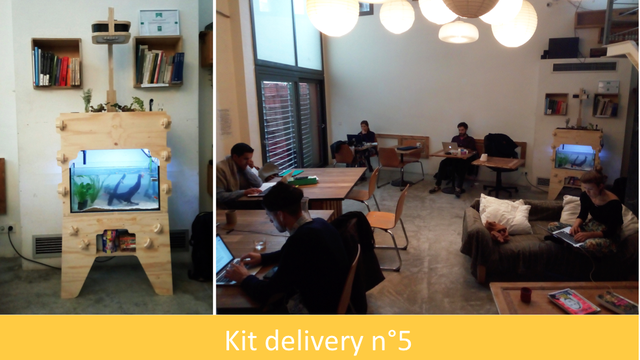 Our next visit to NODO will be to get the wooden structure of our crowdfunding supporters, assemble them and deliver them throughout December. 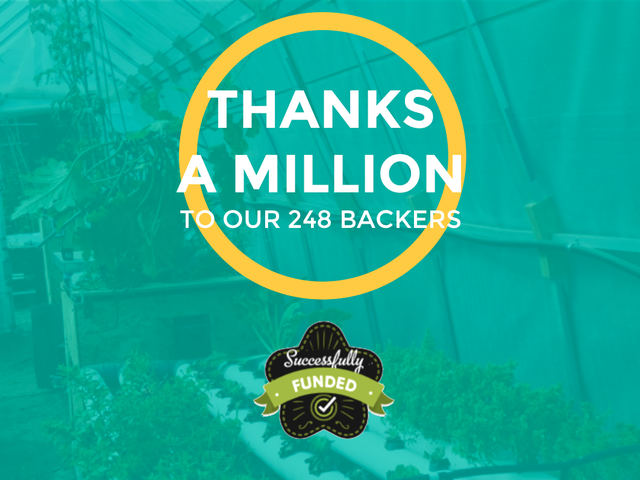 A huge thanks to our 248 backers. 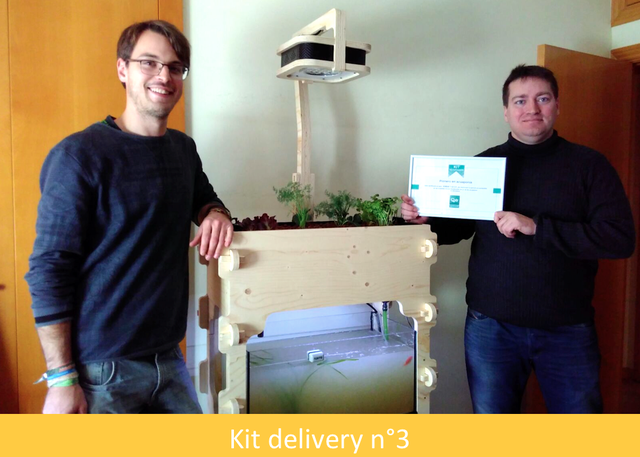 A big step for the Open Source Aquaponics revolution ! First of all, we would like to warmly thank you for your support and involvement in making this crowdfunding campaign a double success. We are so glad to have multiply by two what was expected, gathering 30 121€ from 248 backers coming from all around the world. This is a tremendous help ! 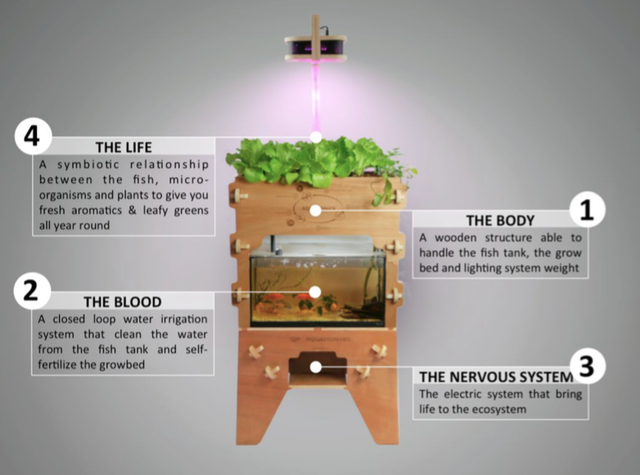 Growing food using ecosystemic approach that have a minimum impact on our environment. From our small hill located in the Regional Park of Barcelona, we were not expecting such international reach. 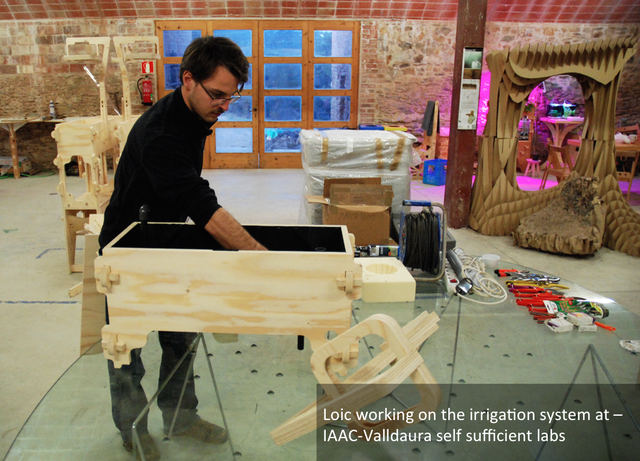 From Japan, to Russia, to even China, passing by the USA, France and of course our lovely Spain, the press gave us a “little help“ to spread our open source aquaponics dreams. Without waiting, we start to work on the delivery plan of the different perks we have promised you and will be back in a few weeks with a concrete plan. 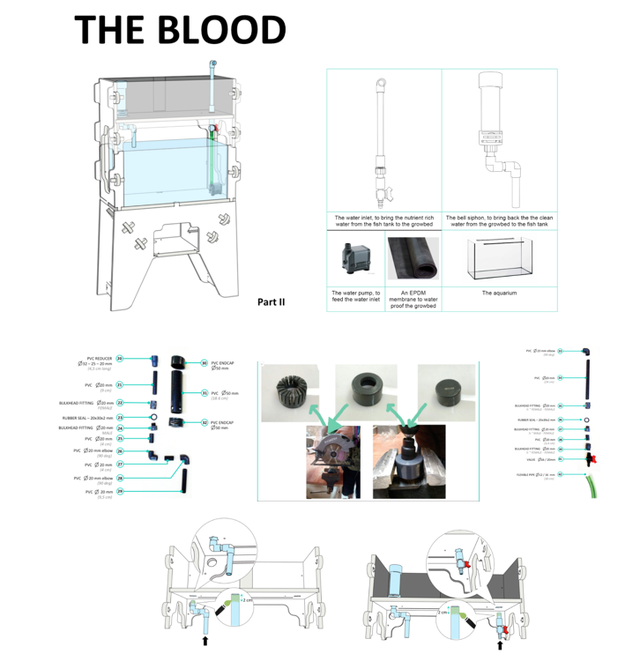 However to give you a glimpse of what will be done with this funding, we've have prepared this small infographic. 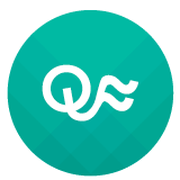 As the project matures we will send updates to keep you in the loop (count 1 news per month more or less).